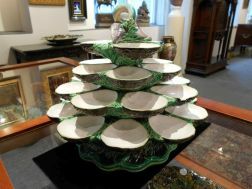 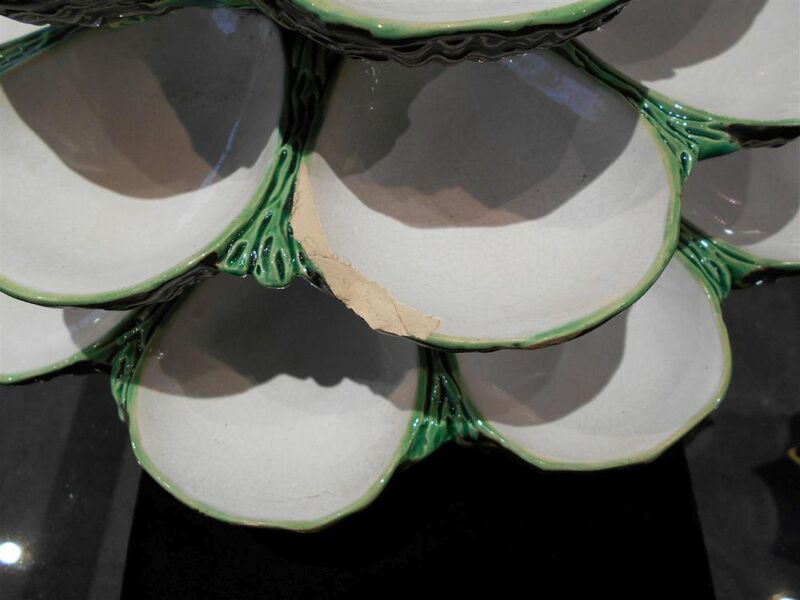 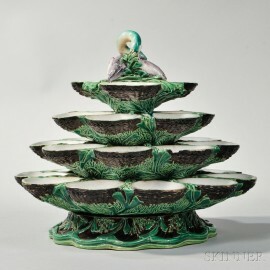 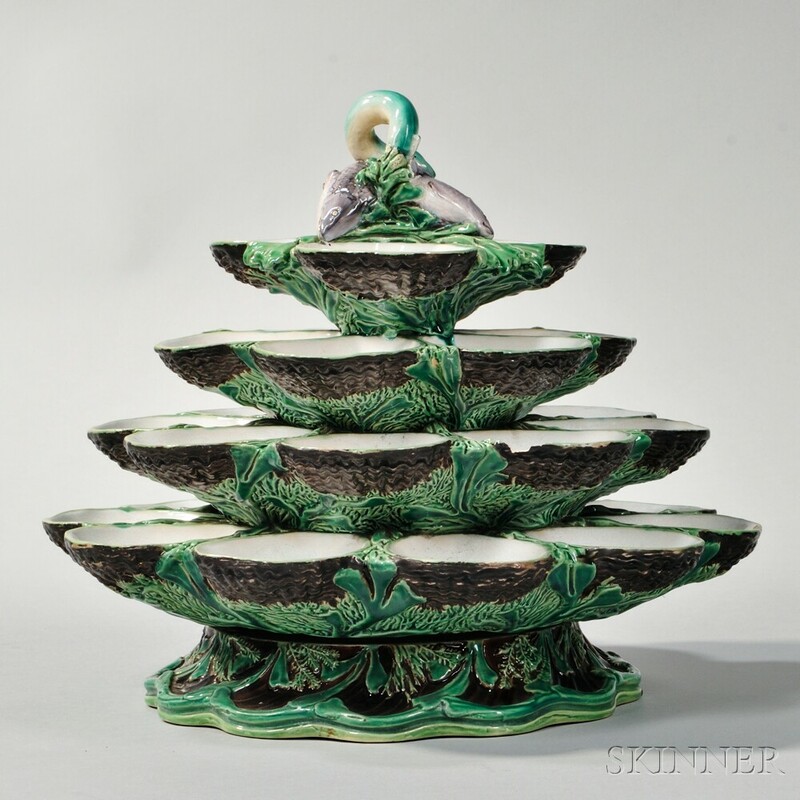 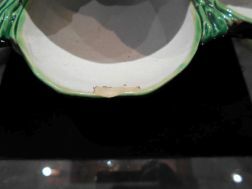 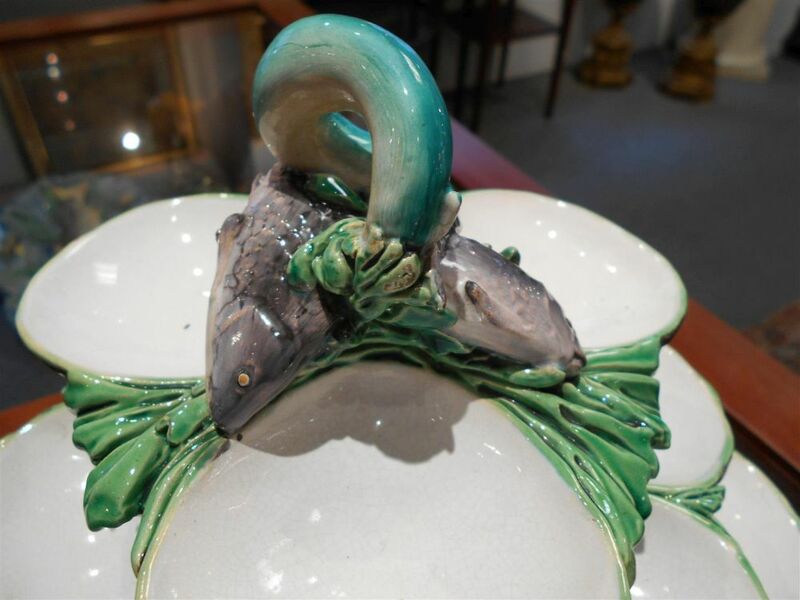 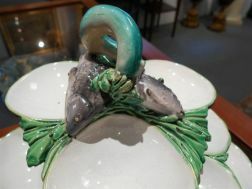 Minton Majolica Four-tier Revolving Oyster Stand, England, c. 1863, enameled earthenware with central crossed fish and eel handle atop graduating dishes of compartmented shells, decorated below with coral, impressed mark, ht. 10 1/2 in. Three dishes, each with a chip. 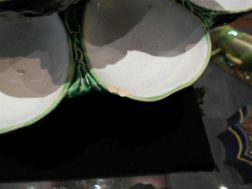 One of 1/2, 3/4, 1 3/4"